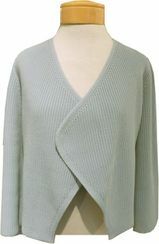 A truly gorgeous new cardigan from Eileen Fisher, in the. 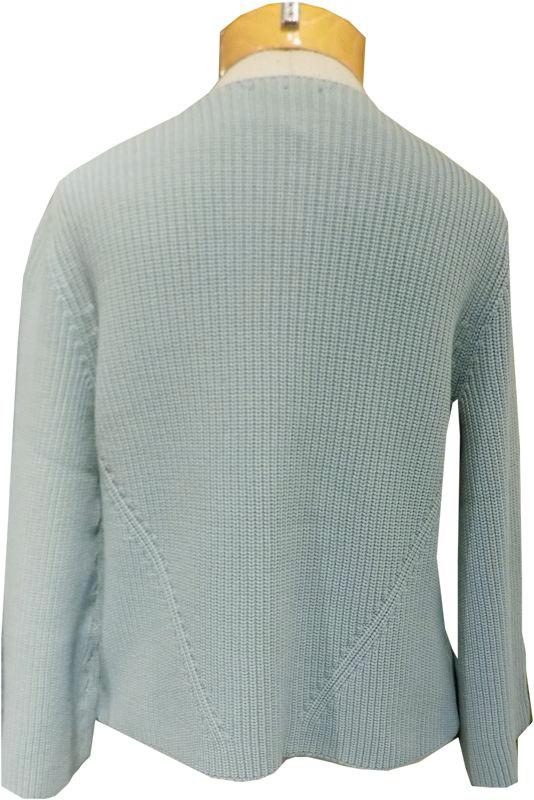 most striking cornflower color (which is a cross between sea foam and sky blue). Drop shoulders, a v-neckline with an open front and a "v" shaped at both sides of the open front. Knit detailing makes it interest, and the cotton/nylon knit feels amazing and rich.